This site highlights my ability to effectively synthesize the inter-related disciplines of design, UX, Wordpress, SEO, and marketing within the framework of an existing brand. 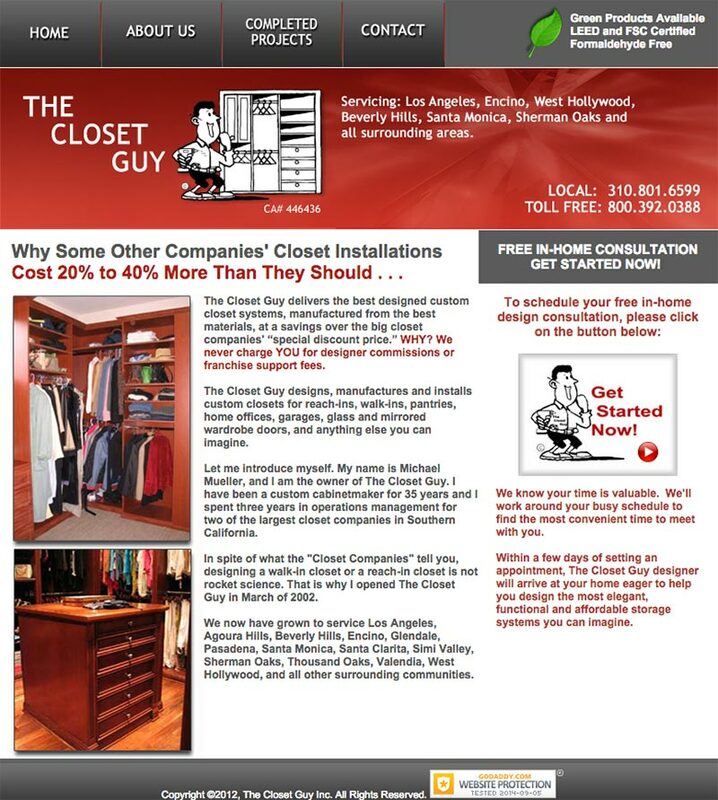 The Closet Guy is one of the top custom closet designers and installers in Los Angeles. The owner contacted me hoping to build traffic and increase conversions while maintaining the familiar feel of the site. I started with industry research. It was quickly apparent to me that their three top local competitors had sites that were either highly dated or contemporary while lacking in personality. The entire vertical appears to approach the web either like a wholesale business or with a pretense of luxury that missed making a personal connection. This lead me to understand the owners insistence that the site remain unpretentious and have a local business appeal. I decided to see how closely I could emulate and enhance the feel of the old site while improving the site by every metric. From there I did wireframes and design comps that were quickly approved. In addition to a design refresh, the aim was to significantly boost trust assurance and conversions by featuring the businesses competitive messaging and promotional offer while featuring actual product images and not stock photos, so common in this industry. Another central focus of this new site was search rank. In addition to adding SEO friendly static content, I implemented semantic HTML5 and Schema.org markup. I also provided consultation about content strategy. 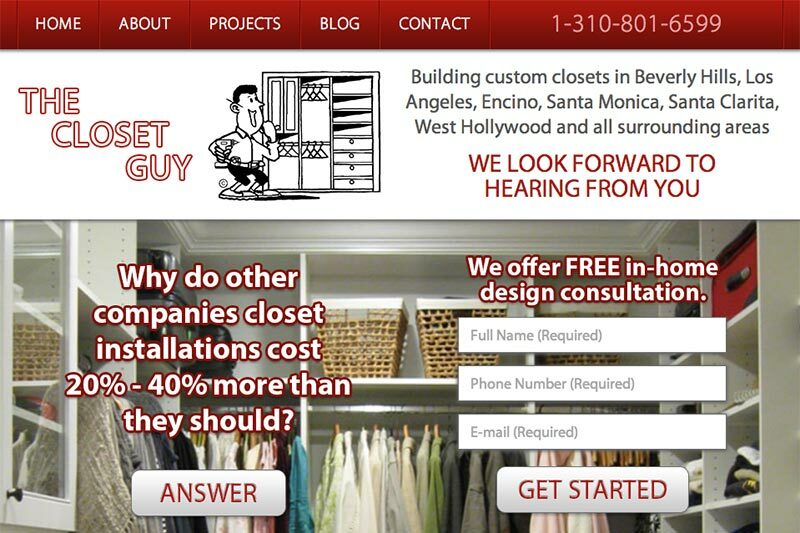 Within two weeks of launch the site had moved from the ninth to the first page on Google for the businesses primary targeted keyword phrase, “custom closets.” In addition the site has seen a dramatic drop in bounce rate and increase in time on site.